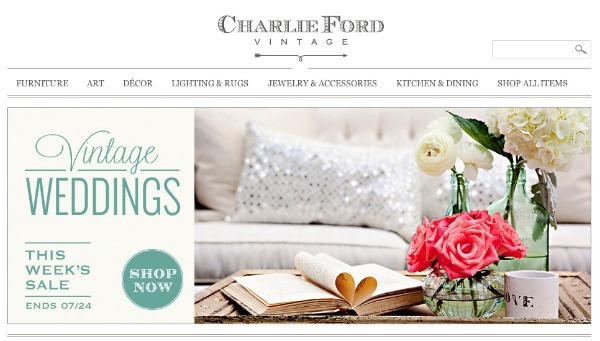 An introduction to Jillian Harris’ latest venture, Charlie Ford Vintage. Charlie Ford, created by Jillian, along with her cousin Tori Wesszer, and friend Alyssa Dennis, is an online shop that was born out of the idea of curating one-of-a-kind vintage finds, a passion shared by all three women from a very young age. Named after Tori’s son, Charlie Ford is a unique concept in that items are one-of-a kind. If you fall in love with something, it’s best to act fast because when it’s sold, it’s gone for good (no diddle-daddling around!). New items are listed on Monday and theme sales launch every Thursday, with the current one being Vintage Weddings. Items, such as furniture, lighting, jewelry and art, are sourced from around the world at the best prices that can be found. If you’re looking for a real bargain, check out the Basement Sale where shoppers are given one last chance to pick up items at a discount. 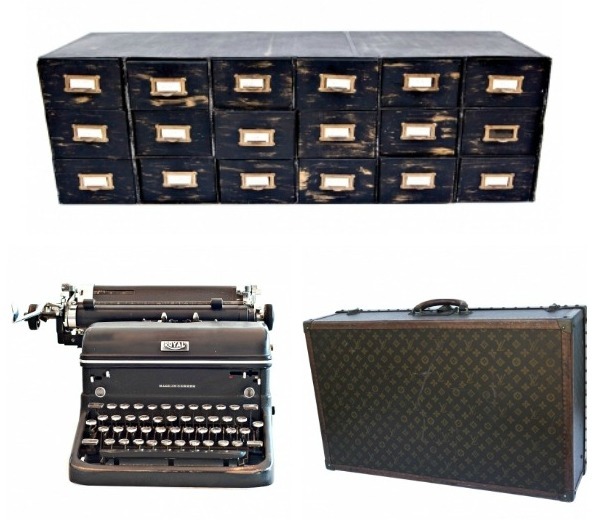 Although I’m smitten with quite a few items, there are some that I can’t seem to get out of my head like this industrial metal jewellery cabinet, Royal typewriter, and Louis Vuitton monogrammed suitcase (okay, perhaps a little out of my price range, but beautiful!). Want $10 to put towards your first purchase? Let me know in the comments below and I’ll send you a membership invitation (you can earn $10 for referring your friends as well)! 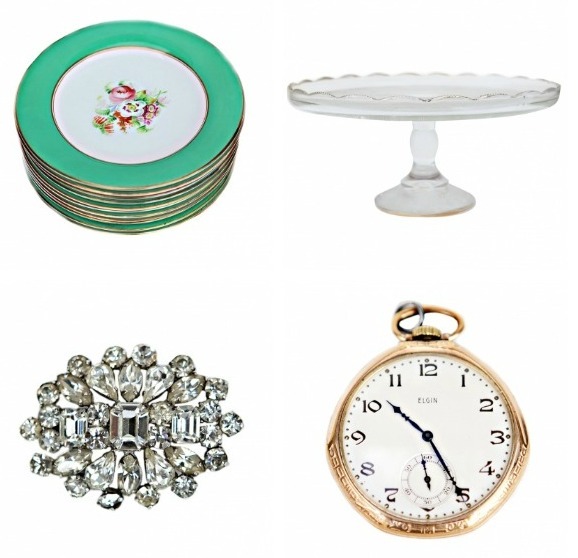 Love hunting for vintage items as much as I do? Any Charlie Ford items that catch your eye? I’d love to know. Oooo Shauna, that store looks fabulous!! Thanks for the link and yes, I’d like a membership invitation! Thanks girl!! Oh wow! I will have to check it out! I love those plates! Can’t wait to check it out Shauna! Please send me an invitation as well! The store looks amazing – thanks for sharing! Oh! This is an amazing idea… I am sure all of the items are going to be amazing! Can’t wait to shop! I’m looking for chaise lounges.